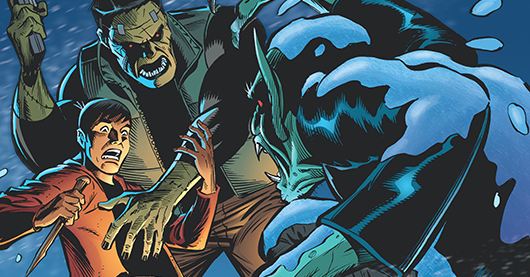 Joe Frankenstein #1 tells the story of a young man with a hidden family past that he knows nothing about and the trouble that it causes when it catches up with him. I’m sure that from the title of the comic book, you might be able to guess just what that history is, but how it ties into the main character’s life is the really great part! Whether we like it or not, all good things must come to an end. 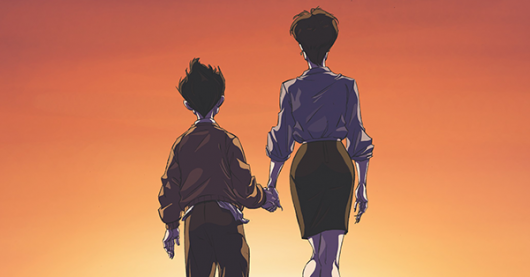 Ghostbusters #20 is the last issue of what has been a fantastic series. And, the epic conclusion of the Ghostbusters 30th anniversary story line, “Mass Hysteria”. Erik Burnham wraps up this story, and series, in a funny, breath taking, uplifting way, as he always does. The boys are taking on both Gozer AND his brother, Tiamat. 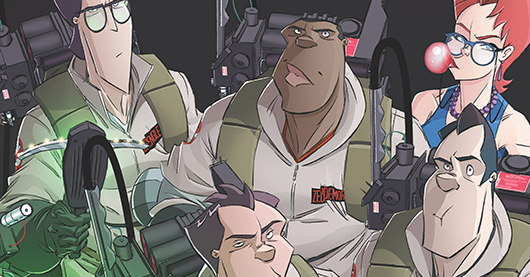 Ray is possessed, Winston’s in BIG TIME trouble, all around, it’s a typical Ghostbusters mess. And, in his usual fashion, Burnham makes it a lot of fun. As from the very beginning, the characterization is spot-on, and you can actually hear the actors from the film delivering the dialogue. There’s plenty of action, lots of humor, and it’s an all around great script. 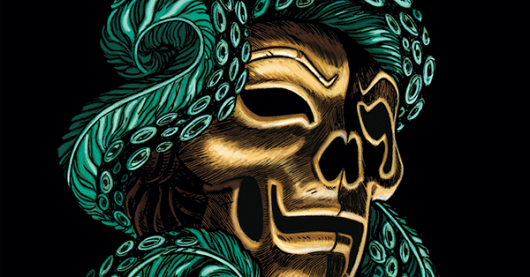 The tension continues to build in the newest chapter of Kill Shakespeare: The Mask of Night. The famed pirate Cesario has lost control of his ship in a mutiny led by his former lover and first mate, Viola. She plans to ensure the crew’s safety by turning over Juliet and her fellow prisoners to the cannibal captain of the Lavinia, Lucius Andronicus. But it isn’t that simple. Among the prisoners is Shakespeare himself! Continuing from where we left off last time, the masked captain Cesario faces the oncoming threat of capture from a pursuing vessel, and betrayal at the hands of his own crew. With the Lavinia in hot pursuit, the crew of the Boreas are trying to escape its ever-looming presence. Cesario’s desperate plans to evade the ship are met vocal distaste. 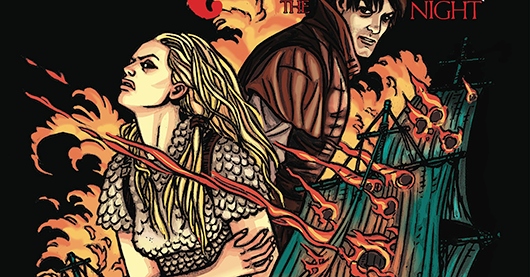 The crew wants to go with a plan that has a higher chance of survival, while Cesario wants to risk everything on a plan that will end with him returning Juliet to the Prodigals. His plan to gamble with their lives creates festering thoughts of mutiny among the crew. 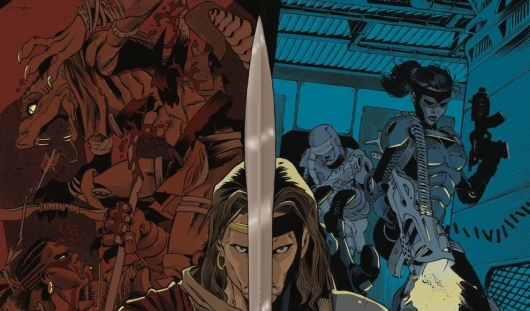 Adventure, intrigue, and swashbuckling are a few of the things that await you in the thrilling tale of Kill Shakespeare: Mask of Night. We’re introduced to the masked pirate captain named Cesario. After a thrilling battle, we see the spoils of his latest plunder. Instead of gold or jewels aboard the ship, he finds prisoners trapped in a small room. And among them, Juliet Capulet. Shaken from their prior adventures, Juliet and her fellow prisoners are brought aboard. Wanting to seize the opportunity, Cesario decides turn them to the Prodigals in exchange for a full pardon. But things may not go as Cesario plans, as he receive opposition from amongst his ranks. 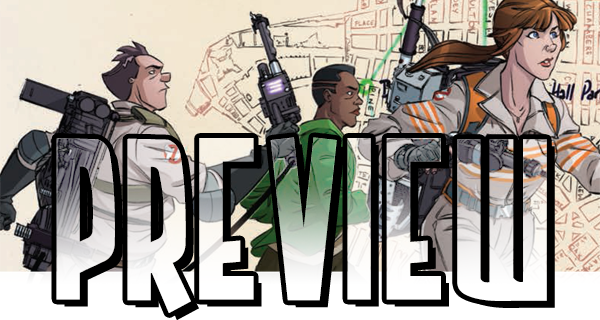 Ghostbusters #16 is the latest installment in the Ghostbusters 30th anniversary storyline “Mass Hysteria,” and let me give you a little advice — bring a scorecard! Writer Erik Burnham brings everyone — and I mean EVERYONE — in the Ghostbusters universe for the epic chapter of “Mass Hysteria.” Just about everyone from the Ghostbusters films and even the expanded universe turn up for this huge fight with Gozer’s sister, Tiamat. Ghostbusters #13 kicks off the year-long “MASS HYSTERIA” storyline celebrating the 30th anniversary of the Ghostbusters! And believe me, by the looks of this issue, it’s not gonna be a cakewalk for the boys in gray! Writer Erik Burnham never gives these poor guys a break. Wait, I take that back. In this issue, they have a nice little break from all the ghosts and busting because…. yeah, I’m not gonna spoil that part. But, needless to say, someone we all know and love gets exactly what he deserves. 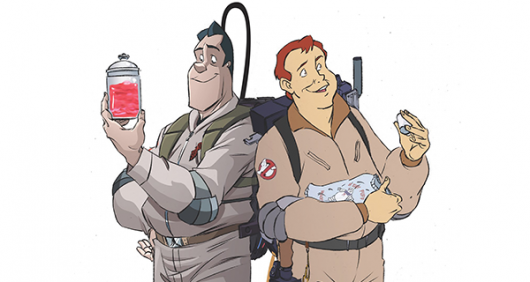 Meanwhile, one of the MOST demanded characters in Ghostbusters history makes their long, LONG awaited comic debut!!! !… and I’m not going to spoil that either. 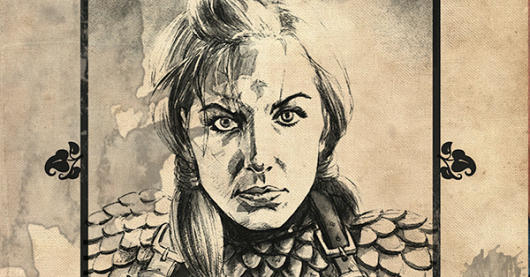 Man, this issue is hard to review without spoiling all the goodness inside. Let me put it this way: If you’ve ever seen the movie Ghostbusters, you’ll want to pick up this issue.